What would you pay to welcome the glorious arrival of spring with one of Chicago’s best annual food and drink tasting events — an event that features top chefs serving samples of their cuisine… made from ingredients produced by local and regional farmers… and paired with some of the Midwest’s best in craft beverages? That’s not a rhetorical question, because we have the answer: Most sampling events these days make a three-figure dent in your wallet. On the other hand, Localicious — on the evening of Friday, March 20 at Chicago’s UIC Forum — is all of the above, and by buying a ticket in advance, you can get in for the low, low price of just $80. (This already is a $15 savings off the price at the door. 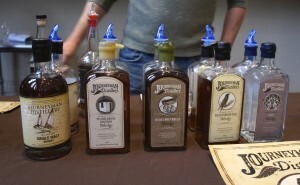 Localicious would be one of the year’s most anticipated tasting events on the quality of its offerings alone. What makes it one of a kind is its focus on local and sustainably produced food and drink. 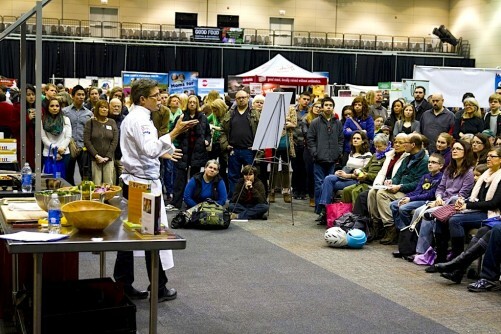 This celebration of fine dining is one of the main public events at FamilyFarmed’s 11th annual Good Food Festival & Conference, the nation’s oldest and biggest trade show, issues forum, and public celebration of the fast-growing Good Food movement. Sponsored by Local Foods — a Chicago grocer and distributor that is building an innovative retail market in Chicago — and Onyx, a sustainable restaurant supply company, Localicious demonstrates how using these practices can result in the highest quality and most delicious food that also is produced locally, sustainably, humanely, and fairly. • Beet brined turkey breast with celery root, white chocolate puree and dill from The Radler. • Mini Chipotle Meatballs with a Radius Slaw on Warm Tortilla from Nana Organic restaurant. • Wild Mushroom Risotto Cakes Garnished with Local Greens from The Goddess and Grocer. • A vegetable fantasia (Hazzard Free Purple Barley/Red Cabbage Mousse/ Honey Roasted and Fermented Carrots/Arugula) from Perennial Virant. • Harrisa Turkey Burger, Harissa Carrot Burger with Smokey Eggplant Sauce from White Oak Gourmet. And much, much more from restaurants and caterers that include Big Jones (owned by Paul Fehribach, FamilyFarmed’s 2015 Good Food chef of the year), Browntrout, Duke’s Alehouse & Kitchen, Floriole Café, Foodease, Lyfe Kitchen, Madison & Rayne, Osteria Via Stato, The Chicago Diner, The Kitchen, Uncommon Ground, and Vera. There will be other great treats on hand from Eli’s Cheesecake, Katherine Anne Confections, Ruth and Phil’s Ice Cream, Seedling Fruit, and Tiny But Mighty Popcorn. 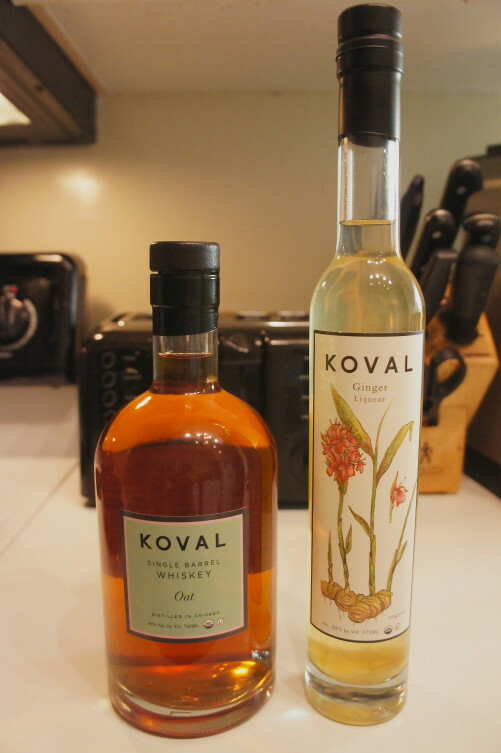 Complementing these tastings will be creations from rising stars in the craft beverage world. 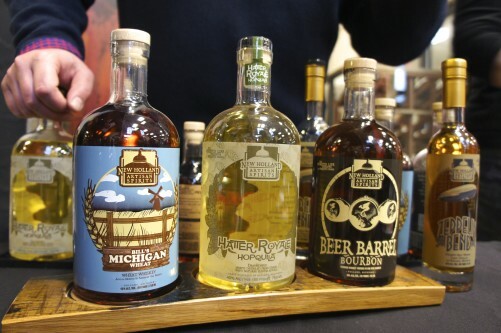 Representing the city’s and region’s exponentially growing craft beer industry are Begyle, Forbidden Root and Greenstar breweries of Chicago and New Holland of Holland, Michigan, which also produces a line of brilliant craft spirits. They will be joined by distilleries such as Death’s Door of Middleton, Wisconsin; FEW Spirits of Evanston, Illinois; Journeyman of Three Oaks, Michigan; Koval, which was founded in 2008 as Chicago’s first distillery since Prohibition; Premiere vodka of Gurnee, Illinois; North Shore, the region’s original craft distillery, of Lake Bluff, Illinois; Quincy Street Distillery of Riverside, Illinois; and Rhine Hall distillery of Chicago, which specializes in fruit brandy. 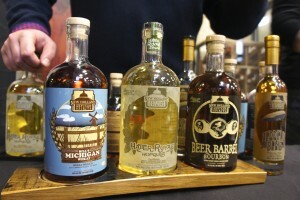 Also available to toast to Good Food are Lehman’s Orchard ciders from Michigan; Right Bee cider of Chicago; Fenn Valley Winery of Michigan; Wollersheim Winery of Wisconsin; and Cello Via liqueurs. Craft soft beverages include Columbia Street Roastery, NessAlla Kombucha and SenTEAmental Moods. Localicious caps the middle day of the three-day Good Food Festival & Conference. It kicks off on Thursday, March 19 with The GOOD FOOD FINANCING & INNOVATION CONFERENCE, a dynamic day that connects funders with food businesses seeking financing. Participants in the Financing Fair have raised $11 million in funding over the past three years. 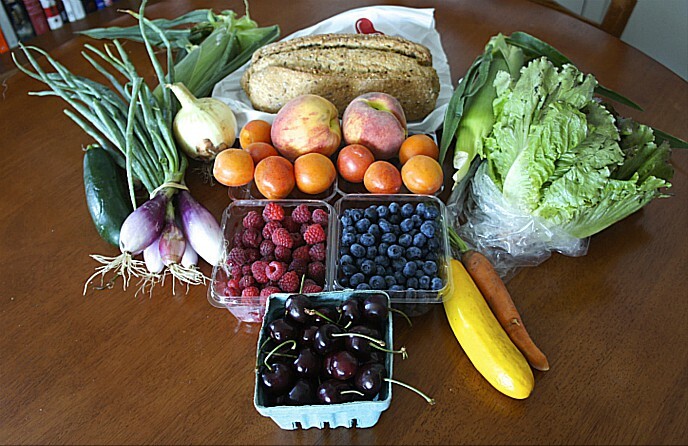 And meet the Fellows in FamilyFarmed’s Good Food Business Accelerator program. TRADE DAY at the Good Food Festival & Conference, which takes place during the day of Friday, March 20, includes the nation’s oldest and biggest Trade Show devoted to local and sustainable food, with more than 100 exhibitors, and powerful tracks on the Food Trade, Food Policy, School Food, and Producers. After Localicious, the event peaks with the GOOD FOOD FESTIVAL on Saturday, March 21, which invites the public to an informative, inspiring, family-friendly, and FUN celebration of the fast-growing Good Food movement! Tickets for all of these events can also be purchased online in advance. All the events of the Good Food Festival & Conference take place at UIC Forum on the University of Illinois at Chicago campus. This entry was posted in Beer, Bourbon, Cider, Cocktails, Craft beverages, Farm to table dining, Food Artisans, Food Entrepreneurs, Good Food business development, Good Food Dining, Good Food Festivals, Good Food restaurant trends, Sustainable dining and tagged craft beverages, FamilyFarmed, farm to table dining, Good Food Festival, Good Food Festival & Conference, local food, Local food dining, Localicious, Localicious tasting event, Sustainable food dining. Bookmark the permalink.